When it comes to this fantastic box mod, you will be absolutely impressed deeply by its unique temperature control system, which supports VT-Ti(Titanium)/VT-Ni(NIckel) mode. This Variable Temperature (VT) brings out a different flavor experience with the change of temperature settings, not only improving the taste, but also saving battery and liquid consumption. It is really regarded as an evolutionary start. This temperature control can also provide more safety protection in huge power output. After all, safety should be placed in the first place though you have developed vaping as a fashionable interest. So strongly suggest choosing electronic mod rather than a mechanical mod. Moreover, the premium quality of product also is a crucial factor of ensuring a safe and enjoyable vaping experience. 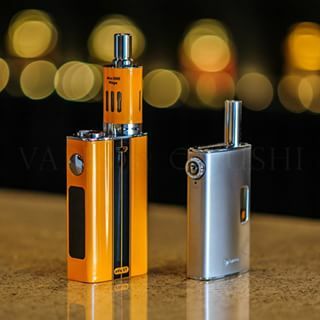 Get an authentic eVic-VT on official authorized distributor website.